Enough is enough… Personal Breakthrough Sessions for you, private and focused 100% on your recovery! Focus and presence – gone. What happens during my sessions? No two interventions are the same, first you and I will complete an in-depth interview to reveal the conscious and unconscious details of how Bulimia has taken over your life. I then design a personalized intervention for you to release the Bulimia and guide you to healing and resolving remaining symptoms. Together, we discover and remove the hidden blocks to your success. This is a three day intensive where we are together for 6-7 hours a day with breaks . In private one on one sessions we work together to dismantle the beliefs holding these old patterns of behaviour in place. This process has worked very well for clients coming in from a distance as we do the work together over a three day intensive. Once a week sessions with me over 20 weeks, to secure the changes while continuing on with your life daily. Optimum for people living close enough to attend weekly. Private sessions are focused on you, and your issues only. 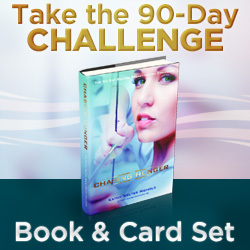 If you’re ready to get to the root of the Bulimia, then yes, this is right for you. The changes continue to integrate and expand as you take action in your daily life, for months and years into your future. Maintaining recovery is supported in the new book release “Chasing Hunger” which outlines all the steps and process’s we use to help you stay the course and make this life change for yourself. You are about to create a new way of life for yourself and discover a deeper level of personal commitment to your health, well-being and motivation for success. Three month follow up weekly sessions, either via SKYPE or in person arranged at the time. Why a Breakthrough for bulimia? My sessions are based on what I term a “breakthrough” because it works best for you. Three full days one on one, you find there is just no good reason for bulimia, and you are not only done with bulimia, you also find your inner gifts, find your “light” once again. Maintaining recovery is best done with a professional therapist and we will find support that works best for you going home. Bulimia is an addiction. Addicted to the internal chemicals released during the binge and purge this feeling of high has been equaled to a Cocaine High.Talk about an addiction and often you make it worse. Bulimia is an addiction. This is why many therapists are now referring clients for these hypnosis sessions and then if needed, clients go back into therapy afterwards for other issues. Bulimia is an addiction and it’s an OCD (Obsessive Compulsive Disorder) related response to a mind that has been depleted of resources. Results may vary per individual and therefore there is no guarantee stated or implied success but those who adhere to the program and follow the instructions and suggestions stand the best chance of full and complete recovery. It is always prudent to seek the advice of your doctor before proceeding with any program and I often consult with doctors, naturopaths , therapists and other professionals before and after we start the work with bulimia.